It is hard to appreciate how much the future is being shaped by a year while you are living through it, but looking back over a gulf of more than fifty years we can see that many elements of the world we know today were built on events and actions taken in 1958. One of the most significant realizations in the lives of the average American was that the post-War Economic Boom which had brought so much prosperity was not going to last forever. 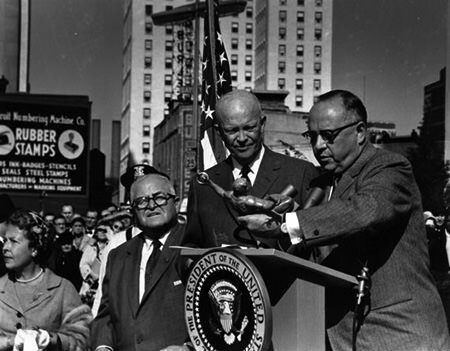 Several factors contributed to what would be known as the Eisenhower Recession, notably the fact that the Detroit auto industry would have its worst year since WWII. Sales fell from 8 million units in 1955 to just 4.3 million. A good deal of the blame for the automotive slump was given to the failure of Ford's "Car of the Future", the heavily advertised Edsel. To add insult to injury, funny little cars from Japan called Toyotas and Datsun's began appearing on American roads. The recession was further fueled by a downturn in new housing construction because of rising interest rates. The government passed a series of stimulus measures, and the recession had mostly passed by summer and the year would end with the economy moving ahead. Economic jitters may have taken a backseat to the so-called "Sputnik Crisis" that began when the Soviets launched the first artificial satellite the previous October. Although Sputnik 1 had been little more than a metal ball which sent a regular "beep" over shortwave radio frequencies, Sputnik 2 was a larger satellite launched a few weeks later which sent more data back to its launch site and even carried a dog named Laika into orbit. The unfortunate pooch expired due to overheating of her capsule just a few hours into the flight (although official Soviet reports at the time said she had been euthanized before her oxygen supply ran out six days later). The message was clear, not only could the Commies put a machine into orbit, they were getting ready to send people up there! On January 31, the first American satellite, Explorer 1, was launched. The Army Ballistic Missile Agency had developed Project Orbiter to be the first satellite, but the project had been shelved in favor of the Navy's Vanguard Program to launch a satellite during the International Geophysical Year. 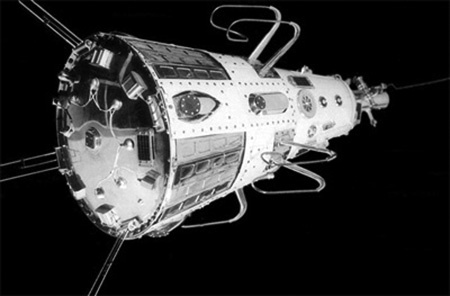 Design changes allowed Sputnik to beat Vanguard into orbit, and when the Navy attempted the first launch on December 6, 1957, the rocket rose four feet into the air, lost power, and sank back to earth before exploding. Ironically, Explorer 1 was based on a system developed by Werner von Braun which had launched a thirty-pound payload aboard a three-stage Jupiter-C rocket in September 1956, more than a year before Sputnik. At the time, the team had been ordered not to fuel the rocket's third stage. It is generally believed that if that order had not been given, the 1956 launch would have achieved orbit. The Space Race was far from the only place where the technology of today was being born in 1958. A Danish toy maker, Godtfred Christiansen, files for a patent on the "Automatic Binding Bricks" he had developed using a plastic injection-molding process, he will name the bricks for his father's toy company, "LEGO", which means "Play Well". Jack Kilby, a newly hired electrical engineer at Texas Instruments, had the run of the laboratory while the more senior engineers were on summer vacation and developed a process for manufacturing multiple electronic circuit components on a single piece of semiconductor material, thereby inventing the integrated circuit, the heart of today's electronic and computer revolution. In July, a plastic hoop created by Richard Knerr and Arthur "Spud" Melin is released by Wham-O Toys of California, launching the Hula Hoop craze. 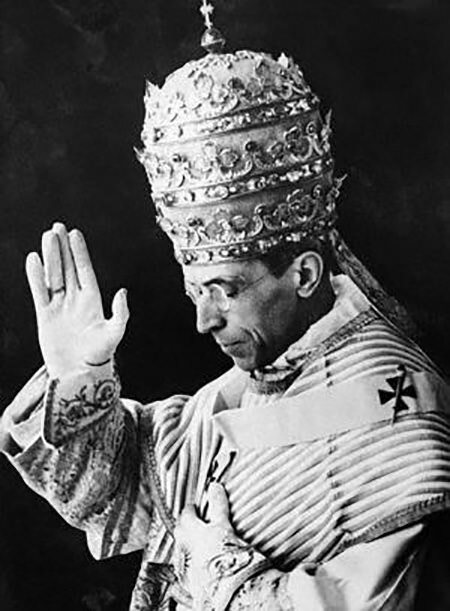 Pope Pius XII declared Saint Clare of Assisi the "patron saint" of Television in February (one of the Pontiff's final official acts, Pius will pass away in October and be succeeded by Pope John XXIII). CBS's popular TV show Have Gun, Will Travel starring Richard Boone was a hit the previous season, so the network decided to adapt the show to radio in 1958 starring Richard Dehner. Elsewhere, network radio was seeing hard times. As the Space Race was beginning to heat up, NBC's science fiction anthology X Minus One (itself a revival of the earlier series Dimension X) was dropped in January. 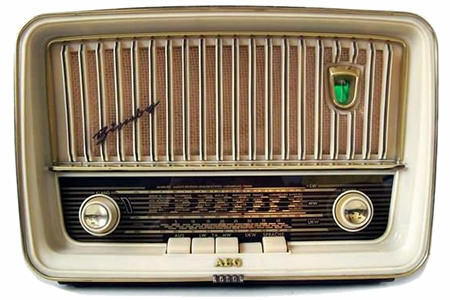 New stations and former network affiliates around the country begin adopting the Top-40 format, effectively abandoning radio drama. A newly hired engineer at Texas Instruments, Jack Kilby hits upon the idea of placing multiple transistor circuits on a single piece of semiconductor material will provide a solution to the "tyranny of numbers" plaguing electronics manufacture. These "integrated circuits" will become the first microchips, the basis of the computer revolution. Kilby will later invent the handheld calculator and the thermal printer. Although drought and unfavorable weather were factors, the misguided policies of Mao Tse-tung and the Chinese Communist Party's Great Leap Forward had a major influence on the extend on the Great Chinese Famine which begins this year. Estimates claim as many as 36 million deaths due to starvation. In January 4, Sputnik 1 falls from orbit and is burned up in the atmosphere. As part of the International Geophysical Year, US scientists launch Explorer 1 aboard the first Juno booster. The satellite detects the Van Allen radiation belts in the upper atmosphere, and the device continues to send data back to Earth until its batteries ran out four months later, however the satellite remains in orbit until 1970. Answering the call by his local draft board, Elvis Aaron Presley, the King of Rock and ROll, becomes a private in the US Army on March 24. In 1958, for the first time, more passengers will fly in airplanes across the Atlantic than make the crossing sailing in ships. Nikita Khrushchev is declared Premier of the Soviet Union on March 27. Godtfred Christiansen, the son of a Danish toymaker, files a patent for "Automatic Binding Brick" which are made from ABS plastic but based on interlocking wooden blocks his father developed. 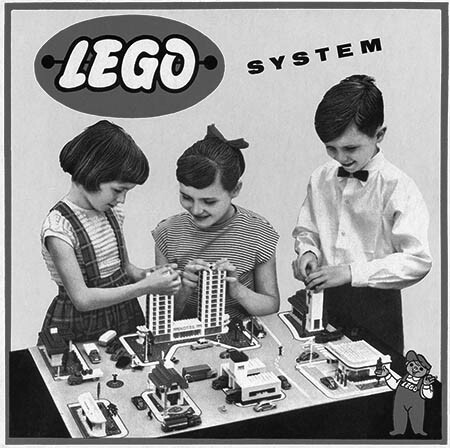 The new building toy takes its name from his father's toy company "Lego", meaning "Play Well". Honda Motorcycles, who had been concentrating on developing racing bikes, introduces the Super Cub with a 50cc four-stroke motor, a step-thru frame, and a semi-automatic shifter. Millions are sold with the You meet the nicest people on a Honda marketing campaign. Less successful marketing is seen for Ford's Edsel division which releases its first model this year. After a year-long teaser campaign promising "the Car of the Future", the unattractive, overpriced, and overhyped cars flopped terribly, and Edsel became a symbol of commercial failure. The SS Edmund Fitzgerald, at the time th largest vessel sailing the Great Lakes is launched this year, she will sink in a storm in 1975. Pope Pious XII declared Saint Clare the patron saint of television. Have Gun, Will Travel debuts on CBS radio after becoming a hit TV show the previous season, it will be one of the last new radio dramas featuring continuing characters. NBC Radio drops X Minus One. Several local stations begin adopting the Top 40 format. Be the first to comment on "1958"